A resource-strapped terrorist group taking on a wealthy or powerful government can use drama, violence and political manipulation to lure that state into making bad decisions. This changes the balance of power between the two adversaries, and over a long enough timeline, a creative terrorist campaign can make the state capitulate to all sorts of demands, or even bring it to an end. An effective and powerful response to a terrorist attack can, on the other hand, strengthen that government’s legitimacy and undermine the very social forces that fed the terrorist movement in the first place. The possible political consequences of any major terrorist attack with the current U.S. leadership are hard to contemplate. But contemplate we must as U.S. military campaigns overseas— which have seen a sharp, unmistakable increase in civilian deaths— make such an attack a matter of “when” and not “if.” And chances are, the United States, like most countries, has not seen the last domestic terror attack in its history. A look at some key terrorist attacks with smart state responses and those which inaugurated disasters show precisely what kinds of responses work, and which don’t. These historical experiences should prompt our preparation for the danger to come. On July 22, 2011, the far-right terrorist Anders Breivik managed to pull off two near-simultaneous terrorist attacks. 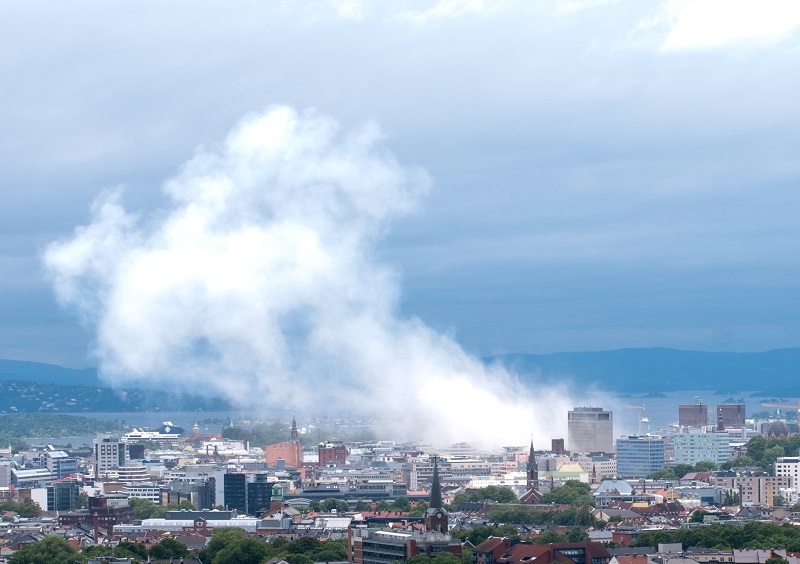 The first was a bomb in the government center of Norway’s capital Oslo. The explosive, made from ammonium nitrate and fuel oil and delivered in a van with a timed detonation, killed eight and wounded more than 200. Breivik then traveled 25 miles to Utoya Island and a youth camp for the then-ruling social-democratic Labour Party where he used a false police uniform and identification to enter the campgrounds and murder 69 people, most of them children and teenagers. Another 110 were wounded. Breivik was put on trial, convicted and sentenced to 21 years in prison, though the sentence can be extended five years at a time indefinitely if he is determined to still be a threat to society. This sentence is Norway’s harshest, and despite some push for something more draconian, the Norwegian government stuck to its constitution and its progressive, humanitarian values. While Norway’s government turned to the right since then, this is part of a broader global trend and Breivik was isolated and made to look like a fool. Norway has persevered despite the tragedy. On March 11, 2004, just three days before the country’s national elections, an independent jihadist terror cell placed 13 bombs made with mining explosives into four commuter trains, detonating 10 of them successfully by cell phone. The attack killed 192 people and wounded 2,000. Following the attacks the conservative government led by Jose Maria Aznar speculated that the attack was the work of the militant Basque separatist organization ETA. The claim was not credible. ETA had never killed that many people and had not deployed such destructive devices. The group also typically issued warnings and always claimed credit — there was no warning for the train bombings and ETA immediately denounced them. Aznar’s motivations were purely political. The election contest was close and if left-wing separatists had been responsible, then Aznar’s conservative government would have likely benefited. 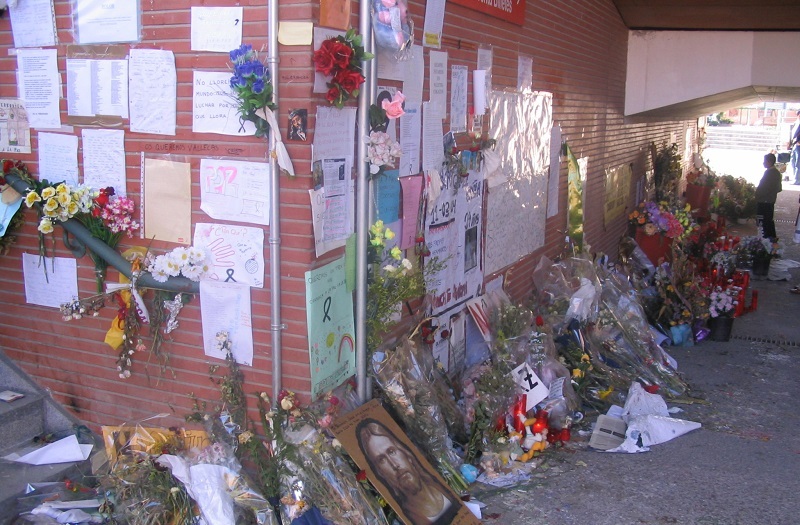 An attack by Al Qaeda or a similar group, however, would have been seen as a dramatic consequence of Aznar’s widely unpopular decision to take Spain to war in Iraq. One scenario would help him win the election, one would hurt, and Aznar acted in the immediate aftermath of his country’s worst ever terrorist attack to prioritize his political fortunes at the expense of public safety and the truth. This response led to Aznar’s sound defeat in the elections and Spain’s subsequent withdrawal from Iraq. While these outcomes were positive, the drive to make a tragedy an opportunity for political point scoring is a typical and dangerous characteristic of bad responses to terrorist attacks. 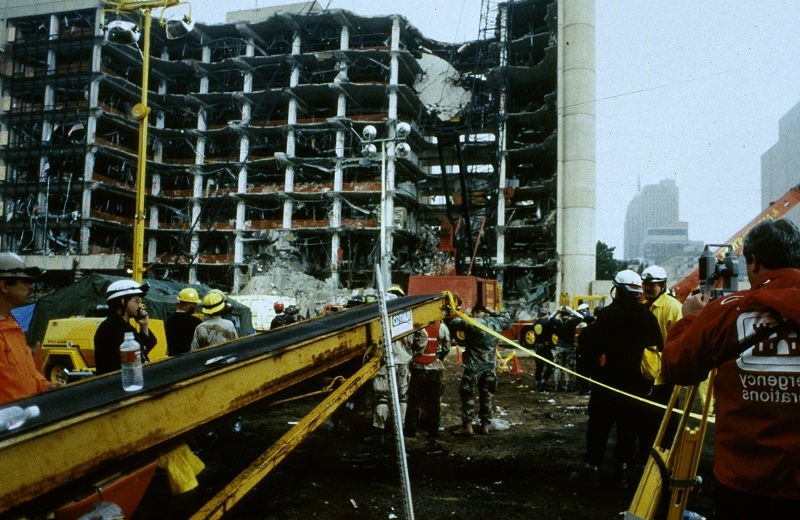 On April 19, 1995, a right-wing militia member and Army veteran, Timothy McVeigh, parked a rental truck with an ammonium nitrate and fuel oil bomb beneath the Alfred P. Murrah Federal Building in downtown Oklahoma City. He lit a long fuse that gave him just enough time to get far enough away that he was only knocked over by the blast and not killed. One hundred sixty-eight others — including 19 children in the building’s day care center — were not so lucky. Immediate speculation imagined that the bombing was the work of Muslims. The action, however, closely resembled an early plot in the white supremacist novel The Turner Diaries. Swift investigation determined that McVeigh was responsible and that he had already been arrested for driving without a license plate and illegally concealing a handgun less than two hours after the bombing. Following the attack, federal law enforcement focused extraordinary attention on far-right movements and militias, using legal strategies to strike a serious blow to the movement. In the four years following the attacks, the Southern Poverty Law Center noted a more than 80 percent decline in known right-wing militias. The SPLC also found an 85 percent decline in so-called “patriot” groups in the decade after the bombing. Then-president Bill Clinton did use the tragedy to aggrandize new powers unto himself. He used the incident and the 1993 World Trade Center bombing to promote his Antiterrorism and Effective Death Penalty Act, a federal law limiting habeas corpus rights and making it easier to execute death row inmates. And since the law’s passage, potentially innocent people have found it harder to get a new trial before their execution, and it was an early precedent for the powers George W. Bush would take after 9/11. However, the response to the Oklahoma City bombing did quell the growth in U.S. paramilitary groups for a number of years. In September 1999 a series of bombings hit the Russian cities of Buynaksk, Volgodonsk and Moscow. The bombs were made from the military-grade explosive RDX and placed in apartment buildings themselves or in trucks parked next to the buildings, typically at spots of critical structural elements, and detonated by timer. 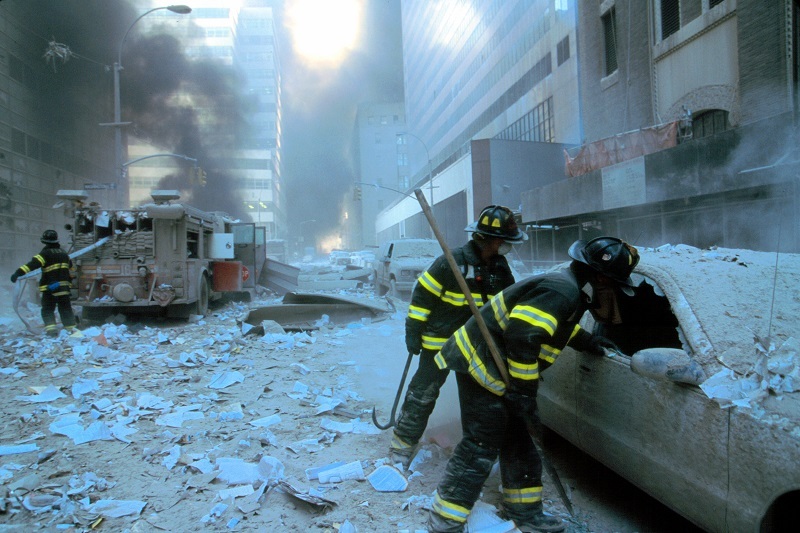 In a total of four bombings, 293 people were killed and more than 1,000 were wounded. 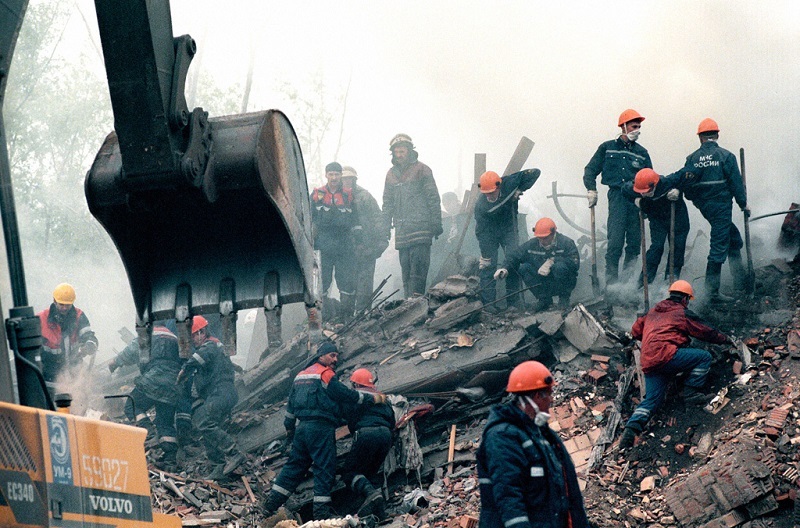 The bombings were claimed by Islamist rebels from Chechnya, and in their aftermath Prime Minister Vladimir Putin—in the role less than a month before the bombings took place—ordered the bombing of Chechnya’s capital Grozny. This began the Second Chechen War and cemented Putin’s power and popularity. President Boris Yeltsin resigned at the end of that year and Putin rose to the presidency beginning a reign that continues—with one term nominally as prime minister again—today. The Second Chechen War was a humanitarian disaster, lasting nearly 10 years, killing at least 50,000 people and perhaps as many as 250,000. Putin’s government certainly won the war in the end, dismantling the de facto autonomous Chechen state and returning it to Russian control. Strategically speaking, however, the conflict provided an important training ground for Islamist fighters who would go on to wreak havoc across the Middle East. There is a great deal of speculation that the attacks were a “false flag” operation carried out by Russian security services. There is some circumstantial evidence to support this claim, a number of level-headed and credible observers who have treated these claims seriously, and it would reflect both Putin’s interests and his connections as a longtime security service veteran. But this is still an unproven theory and even if the security services did not directly carry out the attack, their swiftness to seize upon it for immediate political demands has worked out very poorly for the Russian people, precipitated a bloody conflict and provided strategic opportunity for the very forces alleged to have carried it out. 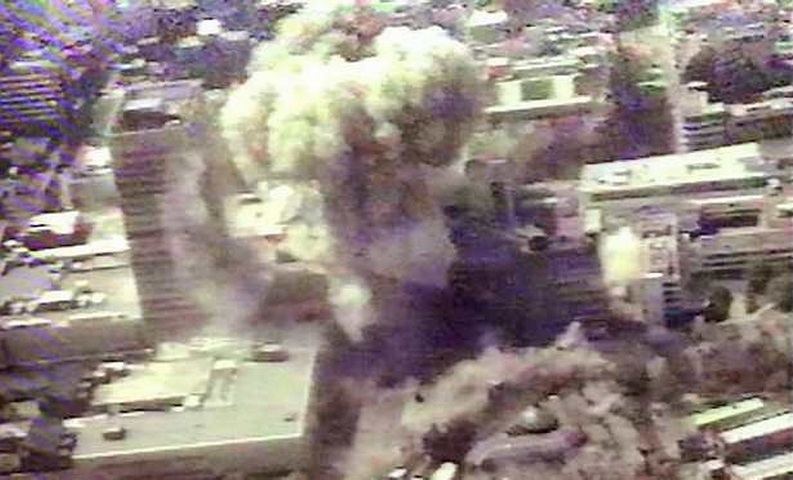 On June 15, 1996 the Provisional Irish Republican Army detonated an enormous bomb in Manchester’s central business district. The bomb was made with Semtex — a plastic explosive widely used by the Provos — and ammonium nitrate fertilizer. The IRA called in warnings 90 minutes before the bomb was to be detonated, allowing police to — incredibly — evacuate more than 75,000 people from the area. The blast ultimately wounded 200 people, but nobody was killed despite the bomb causing more than a billion dollars worth of damage. It was one of the most destructive terrorist attacks in history, even without taking a single life. As for a response, Manchester and the United Kingdom showed tremendous resiliency and resolve. The IRA timed the bombing occur just before a major international soccer match in the city. The game went ahead as planned despite the attack, and in fact Manchester held a “family fun day” just a week afterwards near the bombed areas. Political leaders furthermore went out of their way to show solidarity with the city’s Irish population and to disallow any retaliation for the attack. In the years following the attack the same leadership took the bombing as an opportunity for a major re-development of the city center, an action credited for the emergence of Manchester as a world-class business and cultural capital. In this instance, a pause to consider the political conditions that inspired the bombing actually led to a solution that meant the end of a conflict that took thousands of lives. Community resilience rooted in a progressive political outlook allowed the community to not only survive the attack, but to thrive in its wake. This one needs no synopsis if we have “Never Forgotten.” In the aftermath of the attacks which killed 2,996 people–including hijackers–and injured more than 6,000, the Bush administration fed into public outrage and encouraged a national desire for military vengeance. Most of the hijackers were from Saudi Arabia and later investigation found that key figures in the plot were in regular contact with members of the Saudi government, probably even receiving funding from official Saudi sources. The United States focused its efforts instead on Afghanistan, where Al Qaeda’s senior leadership had been headquartered since 1996. The war there began in October 2001 and is ongoing — the longest war in U.S. history. It has killed more than 100,000 people, including more than 3,500 U.S. soldiers. If this were all it would be one of the worst policy disasters in U.S. history — 15 years of war, resulting in the deaths of tens of thousands of people and failing to actually resolve the key questions at hand — but the so-called Authorization for Use of Military Force behind the Afghan War has been interpreted to allow U.S. military actions in at least nine other countries. It is likely that somebody will be killed today because of this authorization. Even worse, the attack and subsequent War on Terror provided the context for an unprecedented march to “preemptive” war with Iraq. That conflict sparked more than a decade of profound regional instability, and while the number of deaths is very difficult to ascertain, it is fair to say that hundreds of thousands of people have been killed in the conflict, which effectively persists to this day. The 9/11 plot cost about $500,000; the Iraq and Afghan Wars alone — not counting all the other Global War on Terror activities — have cost at least $2.4 trillion. In other words, for the terrorists, the attacks were a 4.8 million-to-one return on investment. This dark litany is a good point for considering our lessons learned from these attacks. Norway, Manchester and the aftermath of Oklahoma City indicate that the most important characteristics of a resilient response to terror are restraint and a commitment to humanitarian values. The ugliness that followed the Madrid and Russian bombings and 9/11 show that the worst reactions are ones of vengeance and political calculation or official self-centeredness. There may be some who believe that the current U.S. government is mature and humanitarian, but this is very wrong. Vengeance and selfishness seem much more the speed of the current president, which indicates that disaster may arise from his responses to the terror to come. We must prepare a movement that incorporates the values we learned here. Level-headedness will serve us, fear and hysteria will not. Restraint and strategy will deliver where lashing out and rage cannot.